During the night of September 13, 1814, Francis Scott Key, a Washington attorney was sent to the British command to secure the release of a prisoner when the fleet began to bombard the placements of American fortifications in Baltimore at Fort McHenry. Though the battle raged through the night, the defenses stood firm. The sight of the flag still flying over the fort the next morning inspired the young lawyer to pen the immortal words of The Star Spangled Banner. 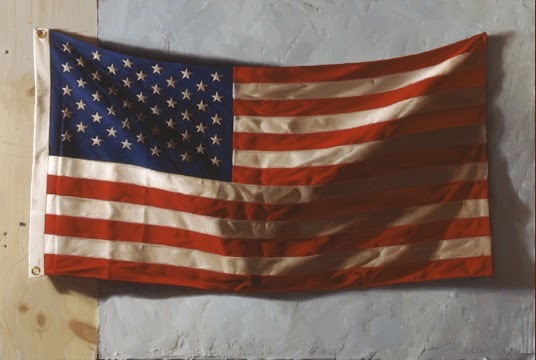 Set to a popular English song, Anacreon in Heaven, it was officially declared to be the American national anthem more than a hundred years later, just before the First World War. A home and a country would leave us no more? From the terror of flight or the gloom of the grave! I wonder if someone sang the last verses instead of the first if it would cause a stir, or if anyone would even notice at all.